For a moment there I couldn’t even recall what time of day I worked out, but then it came to me: 9:30 am, and the session was led by Deborah. Athletes attempted dead-lift 1RM, but I knew that I wasn’t going to be doing so. “Murph” on Monday nearly did me in. I’m sore, sore, sore. I did, however, practice dead-lifts, working up to 335#. Fast and furious, just the way I like it. My goal was to work continuously, and I did just that. I counted out loud (and not “aloud”) so as to accurately keep track of rounds. Yes, it’s easier for me to remember what round I’m on if I’ve just heard myself say the number out loud. All odd-numbered rounds started on, for me, the left side of the bar, and all even-numbered rounds — do I really need to finish this sentence? I didn’t think so. Given the numbers that folks had posted earlier, I knew it was within my abilities to complete 5o rounds. I completed 63. Yup, 63. Seven minutes is 420 seconds; thus, I completed a round in an average of 6.66 seconds. Scary, isn’t it? I coached the 4pm class for Liz who was covering for Chris. Whew. Liz coached the 5:15pm session, and it was a very full house! I really wanted to establish a new 1RM, but Liz — justifiably so — said, “It’ll only count if me or Paul see your one rep max attempt.” (I didn’t correct her grammar. I’m just that nice.) I completed a few lifts at 95#, put plates on the bar to lift 125#, and didn’t get in a single lift. I got to see many athletes achieve new 1RMs, and that’s an incredible experience in and of itself! 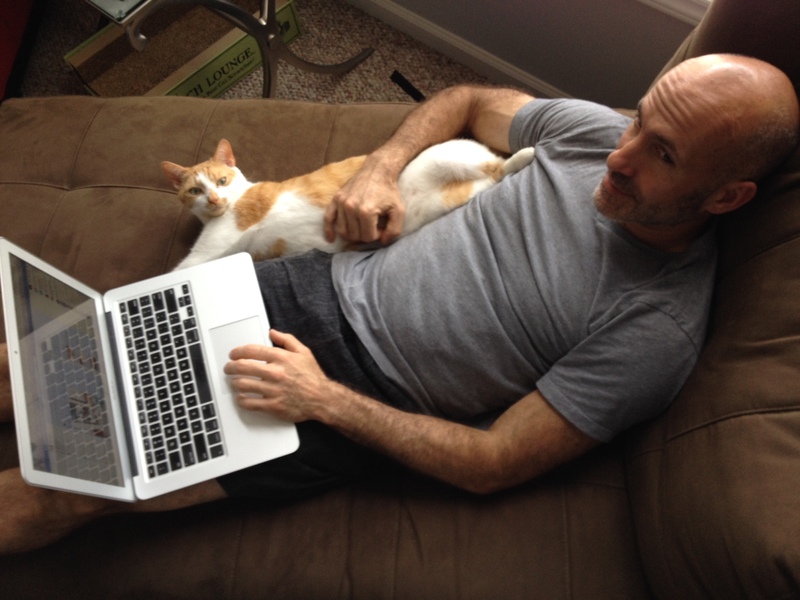 As the title of this blog states, I’m a box owner first, coach second, and athlete last. I used to almost only ever work out on my own, but now that I’ve got such an awesome coaching staff in place I’ve gotten very accustomed to working out with others. I’m surprised that I now prefer working out with others. There, I said it. I may, however, have to attempt a C&J 1RM on my own. Dammit. I’ll begin by saying I lost count of rounds. I honestly have no idea how many I completed. I can unequivocally state that I had already begun my 4th round when the clock read that 3 minutes and 30 seconds remained; thus, I was averaging less than 30 seconds a round. I also completed all but the first and second to the last round of double unders unbroken. I transitioned very quickly from squats to double unders and double unders to squats. My heart rate was elevated, I was gasping for air, but I did not stop once. With 15 seconds left on the clock, I completed my last rounds of 30 double unders. Yup, unbroken, and with 3 seconds to spare. So, nine rounds, ten rounds, or perhaps just eight rounds? I don’t know. And I honestly don’t care. It was a very good metcon. 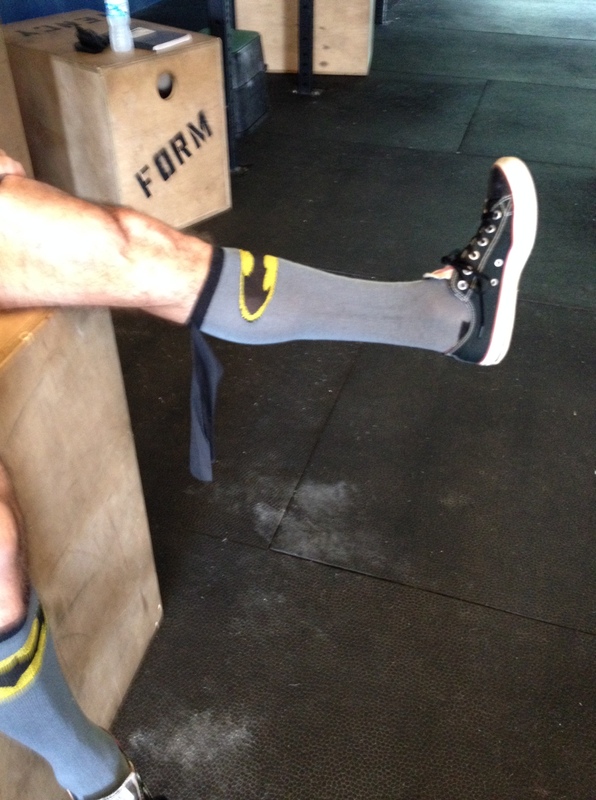 I wore my Batman socks, but did remember to tuck in the capes before doing double unders. I love this dog so very, very much! It’s unusual for Zac to want to spend time with me. 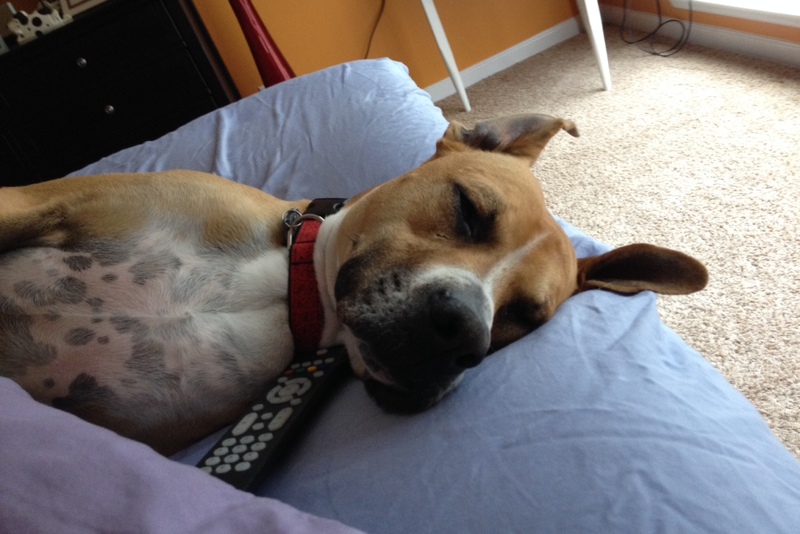 He stayed by my side for almost 2 hours this afternoon.